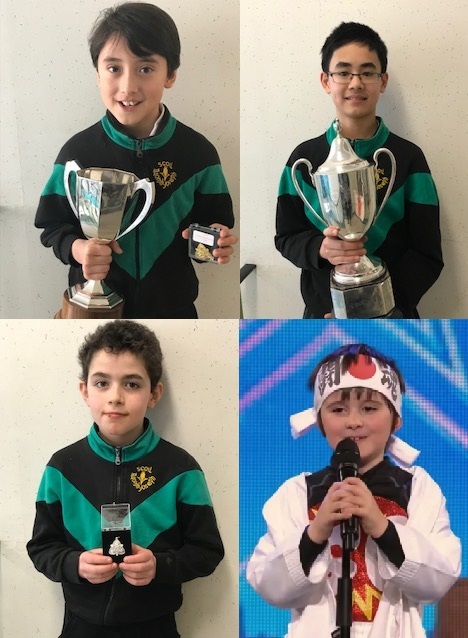 Congratulations to Conan from 1st class who wowed a nationwide audience on Ireland´s Got Mór Talent with his karate and acting skills. Meanwhile Joe, Solomon and Reuben all won prizes at the prestigious Feis Ceoil music festival recently. Well done boys! Le coicís anuas bhí ocáidí eagsúla ar siúil sa scoil le haghaidh Seachtain na Gaeilge. I measc iad súid bhí ceachtanna rince, cuairt ó ghrúpa ceoltóirí tradisiúnta agus tráth na gceist i nGaeilge. Ár mbuíochas leis na múinteoirí a d´éagraigh gach rud. We had a variety of events in the school to celebrate Seachtain na Gaeilge. These included Irish dancing lessons, quizzes and a visit from a group of traditional musicians. Thanks to the teachers who organised everything. Well done to all the boys, led by Ms. Maher and Ms. O’Riordan, who performed so well at Córfhéile in Tallaght last Thursday.